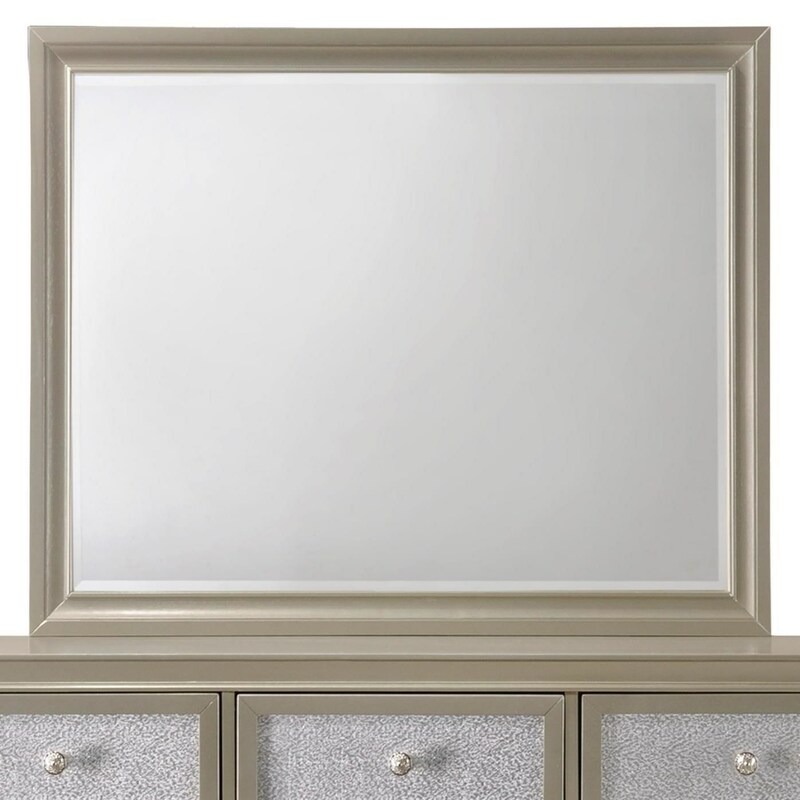 The Lila Glam Mirror with Wood Frame by Crown Mark at Royal Furniture in the Memphis, Nashville, Jackson, Birmingham area. Product availability may vary. Contact us for the most current availability on this product. Make sure your decor emanates your personal style with this glam bedroom collection. These pieces' polished finishes with textured, crystal-like accents are sure to light up your living space. The bed is sure to be the focal point of the room too thanks to its headboard with silky looking upholstery and diamond patterned button tufting with faux gems. With so much unique style, this collection is guaranteed to provide your bedroom with the kind of personality you'll always enjoy beginning and ending your day with. The Lila collection is a great option if you are looking for Glam furniture in the Memphis, Nashville, Jackson, Birmingham area. Browse other items in the Lila collection from Royal Furniture in the Memphis, Nashville, Jackson, Birmingham area.